Get ready to drop in and take some serious face slams as Roll7's Vita exclusive side skater comes to PS Stores January 21st and 22nd for US and UK respectively. 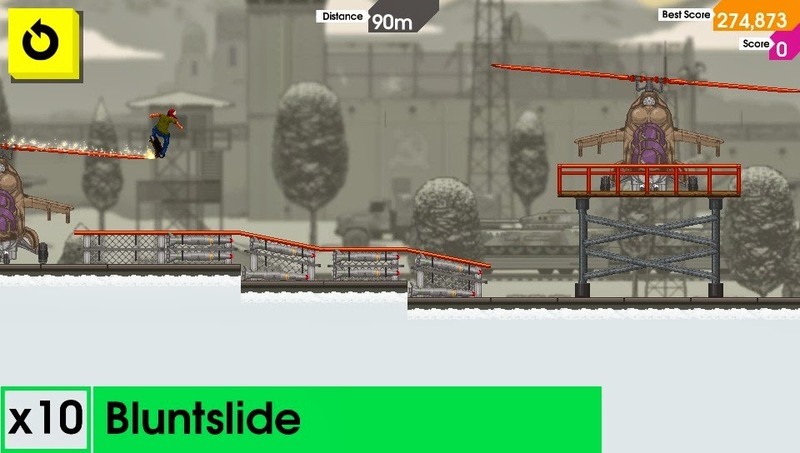 Recently I received the review code for OlliOlli in preparation for the upcoming release. I've been following this title closely since its initial announcement, and the wait it almost over. Price point wasn't given out yet, but here's a preview of what your money will go towards if you decide to drop some cash. The premise (in case you've missed me talk about it): You have a 2D course to skate through to rack up as many points/combos/tricks/grinds as you can. 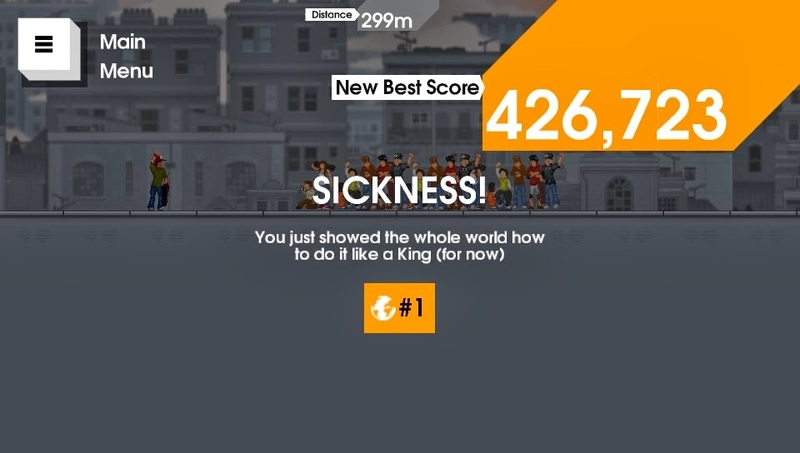 There are a ton of tricks (and trust me, you'll be putting the left control stick through the mill with your flicks and spins) and you have to string them together to get the highest score/meet all level requirements. Career mode is the standard "play through and unlock each level by getting through it." Then comes in the completionist dream: each level has 5 stars that require you to do a variety of things. When complete, you unlock "Pro" mode for each level. A much more difficult version. I made a pretty sweet ride through last night and got #1. Of course the next morning I saw someone got 6x more than I did to take it away. Doh. So those of you who like to challenge the world will really like that mode, as well as "Spot" mode, where you get a run on a level to do the same thing. This time you can keep trying again and again to hit the perfect streak of combos. More on this later! I will announce a price point when it is given, and I will have the review ready for you all on the 21st. Meanwhile, here is the launch trailer. Comment below on your thoughts of the game!